and see what we can setup for you. On Time... Meet Your Deadlines! Keeping your Accounts Payable ledger current and up to date helps your business know where it stands financially. Contact us today to help your business. Money owed by a company to its creditors. A liability to a creditor, carried on open account, usually for purchases of goods and services. When a company orders and receives goods (or services) in advance of paying for them, we say that the company is purchasing the goods on accountor on credit. The supplier (or vendor) of the goods on credit is also referred to as a creditor. Job costing can be a major part of running a self-employed business as time is often more valuable than goods to an independent worker. The accumulation of the costs of materials, labor, and overhead for a specific job. This approach is an excellent tool for tracing specific costs to individual jobs and examining them to see if the costs can be reduced in later jobs. An alternative use is to see if any excess costs incurred can be billed to a customer. The responsibility of a business is to pay taxes due on a regular basis. Usually Monthly. Reporting that correctly can affect you on many levels with your business. We can take the stress out of this reporting. A tax collected by all retailers and certain service providers when they make taxable retail sales. Sales taxes could include state, county and local taxes. Sales taxes are levied by many cities, counties and states at varying rates. Keeping your Accounts Recieveables moving is how we help you keep the cashflow moving. 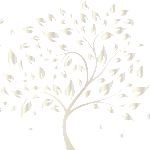 Contact us today to help you keep on top of your open invoices. Money owed to a company by its debtors. Accounts receivable is the money that a company has a right to receive because it had provided customers with goods and/or services. For example, a manufacturer will have an account receivable when it delivers a truckload of goods to a customer on June 1 and the customer is allowed to pay in 30 days. From June 1 until the company receives the money, the company will have an account receivable. It is also important for a company to monitor its accounts receivable and to immediately follow up with any customer who has not paid as agreed. A profit and loss statement (P&L) is a financial statement that summarizes the revenues, costs and expenses incurred during a specific period of time, usually a fiscal quarter or year. It begins with an entry for revenue, known as the "top line," and subtracts the costs of doing business, including cost of goods sold, operating expenses, tax expense and interest expense. The difference, known as the bottom line, is net income, also referred to as profit or earnings. This statement shows if the company is making a profit or a loss. A bank reconciliation or bank rec is a report used to check and explain the differences between the cash balance in a company's accounting ledger and the bank statement balance. A bank reconciliation is also one of the main ways to prevent fraud and embezzlement of company funds. Since there are timing differences between when data is entered in the banks systems and when data is entered in the individual's system, there is sometimes a normal discrepancy between account balances. The goal of reconciliation is to determine if the discrepancy is due to error rather than timing. 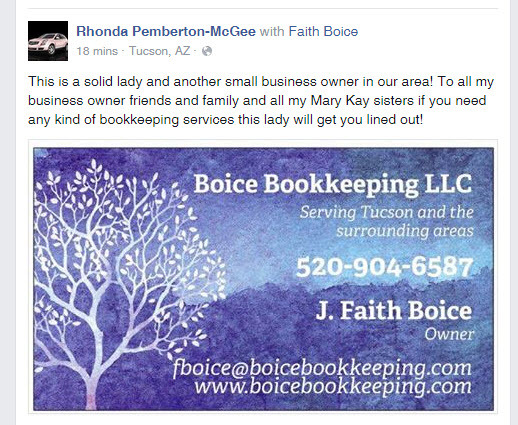 Call Boice Bookkeeping today for your consultation!